Offering you a complete choice of products which include dowel pins, pin punches and pin punch. 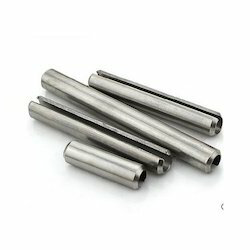 We are one of the leading manufacturers of Dowel Pins. We offers a wide range of Pin Punches/ Punch. These Pin Punch and dot punch are made from a very high-quality raw material which ensures high durability at its user end. Pin punches are in high demand in the market. We offer different sizes and designs of pin punches as per customer requirement. 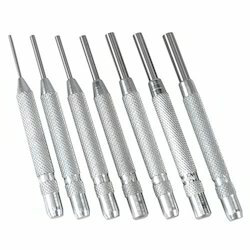 We are one of the renowned manufacturers supplier, stockist and exporter of pin punches in Mumbai India. We supply and export pin punches in every part of the world such as Australia, Germany, Iran, Middle East, Africa, all over Asia. 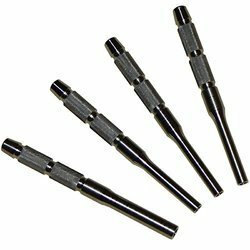 Available Sizes: 1/16", 3/32", 1/8", 5/32", 3/16", 7/32", 1/4", 5/16"
Looking for Pin Punch ?